With more than 12 years of experience in building race engines and ECU mapping we came in contact with Bioethanol E85 and flex fuel many years ago. With most japanese cars being E85 compatible straight from the factory we started to develop our Ethanol maps right after we heard about that great fuel! Over the past 8 years we’ve done countless ethanol maps for all kind of cars and have now a huge know-how! Today we would like to show you what E85 is, its pro’s and contra’s and of course the possibilities we have today using latest flex fuel technology! Bioethanol is obtained from biomass, in Switzerland mostly from plants that have a high sugar, starch and cellulose content. For example sugar beet, grain or scrap wood. When distilling those plants the end product is pure ethanol. The ethanol now gets mixed with other fuels, in our case its ordinary RON98 fuel mixed with 85% ethanol. With the higher octane content E85 has a higher knock-resistance than normal fuel, which allows us to run a more aggressive ignition map which extracts more torque and power, also the turbo spool at lower RPM! Sure, E85 also has some downsides. E85 has a lower density than 98RON, therefore we need to inject more fuel into the combustion chamber to have a proper AFR. This results in higher fuel consumption, in most cases around 25%. Also E85 is more aggressive to seals and hoses so your car needs to be equipped with Ethanol-resistant seals and hoses. Most japanese cars manufacturers use those hoses on their cars, so no need to do change those parts on japanese cars! Ethanol has a higher heat of vaporisation. This leads to starting problems in winter. This Issue easily is solved with a cold start enrichment using a flex fuel system. 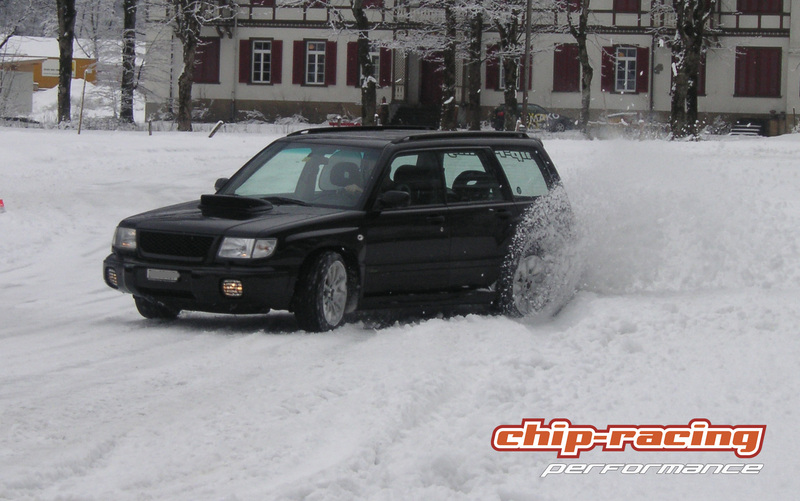 Schnee und E85: bis anhin nicht möglich! As Ecutek Mastertuner and 5th largest Ecutek Dealer worldwide we were involved in the development of the latest RaceROM software which features cool stuff such as launchcontrol (demonstration below) as well the brand new Flex fuel option. This option allows us to run an Ethanol sensor to measure the Ethanol content in the fuel. This works for most Subarus, Toyotas and Nissan GTR’s. 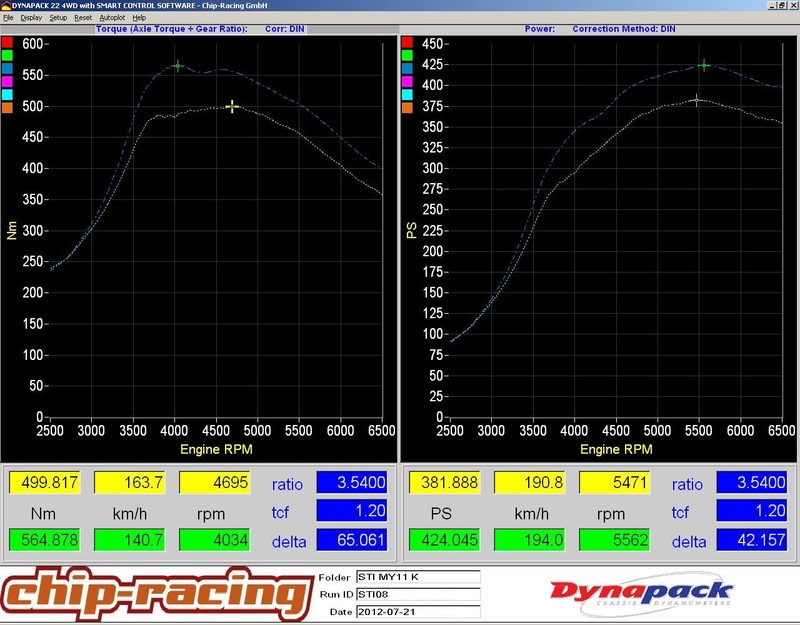 Until now we were able to run E85 on pretty much any car. Also in combination with a map switch we are able to run either E85 or petrol. The problem with this system is that the fuel in the gas tank should be as pure as possible, means either close to 100% petrol or 100% E85. This is not cool since the driver always had to run the tank as empty as possible before refill with the other fuel. 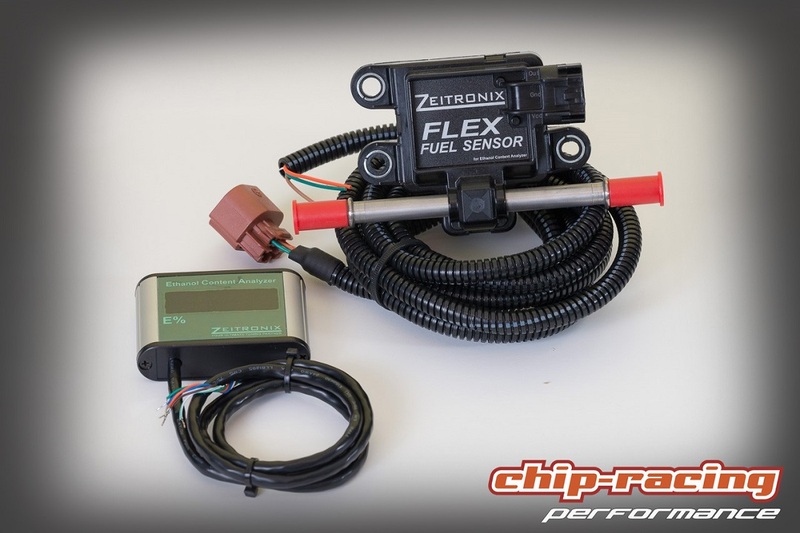 With the latest RaceROM we can now run a flex fuel sensor in the fuel line which measures the ethanol content of the fuel and forwards those data to the ECU. Thanks to the sensor you can now put in ethanol or petrol into your tank without worrying about the mixture. The sensor provides the ECU with the necessary data to adjust the relevant values in the engine setting such as ignition timing and injection to the optimum value. So there is no more map switching, just fill in the fuel you want and you’re ready to go! Another big plus for the flex fuel is the cold start enrichment, which make starts on cold winter days possible even with E85!